The maximum penetration depth to which a particular material can be effectively scanned depends on a number of factors. Apart from the type of material proper, other critical factors include power output of THz generating source(s); internal structure of target material and, above all, THz optical system employed to deliver THz wave emitted from the generator onto the imaging sensor array. Terasense team perfectly understand that and has made tremendous efforts recently to improve that particular aspect of our THz imaging setup for lien scanners. 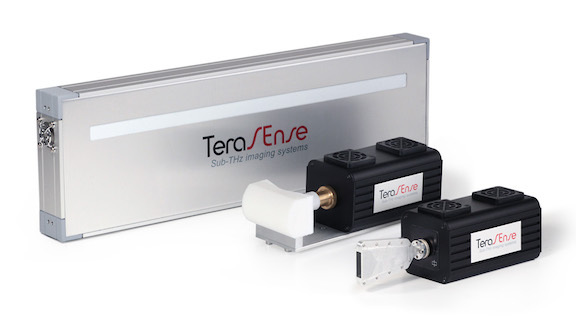 As we already told you in our previous NEWS, Terasense has recently released new terahertz generators for our TeraFAST- imaging scanner. Moreover, we have already tested them with some materials, which seam to be more or less ‘friendly’ with respect to Terahertz waves. One of such material is paper. Below are two THz images obtained as a result of comparative imaging test aimed to show the difference in performance between TeraFAST-256-HS terahertz imaging scanner outfitted with Type-I generator and the same imaging scanner but outfitted with Type-II generator. 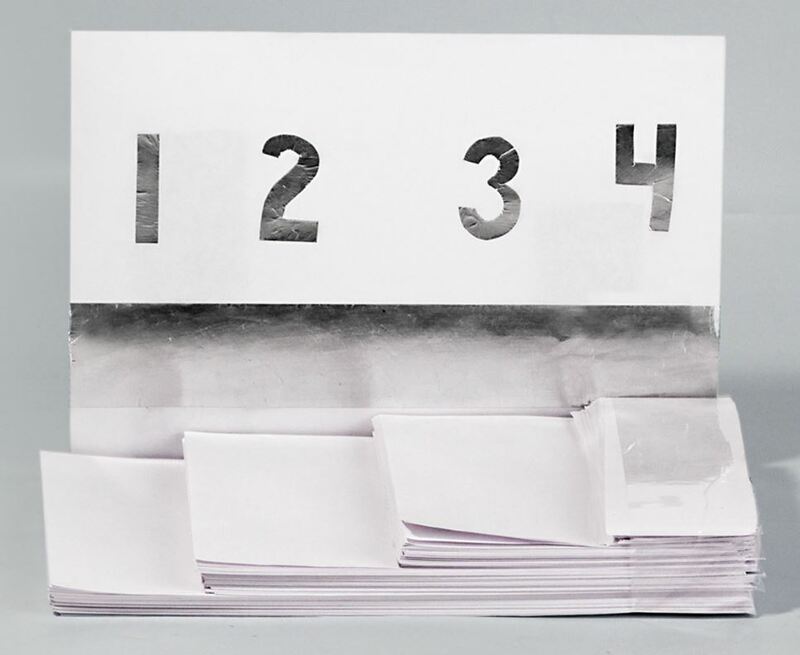 Four flat figures made of metallic foil paper were placed underneath paper stacks of different thickness ranging from 1 to 4 cm. Both THz images were obtained in transmission mode with all other things being equal. As is obvious, our imaging scanner with Type-I generator can effectively penetrate only paper stacks 1 and 2 and render images of the respective metallic figures hidden underneath. The penetration depth of THz imaging setup with Type-II generator is much deeper, as we can discern fairly clear images of the figures hidden under paper stack 3 and even 4. 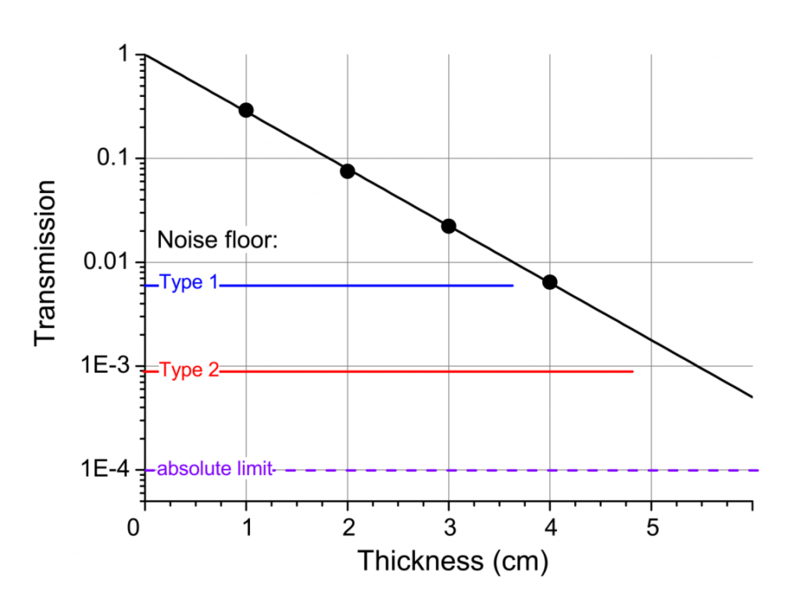 This indisputably proves the excellence of Type-II generator over Type-I and the advantages our terahertz imaging scanner can enjoy if outfitted with Type-II. We are making new video with this TeraFAST-imaging scanner outfitted with Type-II THz source and will soon upload it at our web-site. We are absolutely confident in a considerably enhanced capabilities and penetration depth with novel THz sources. In fact this test with paper can vividly exemplify our capabilities in one of potential application - sorting out of paper (based on its thickness). We hope you have questions and will be happy to answer them all if your CONTACT US using the form below.